This Art Deco bathroom pedestal sink was initially designed in the 1920s and its styling is still contemporary today. This Art Deco wash basin has a fine tapered pedestal that adds to the style and refinement. 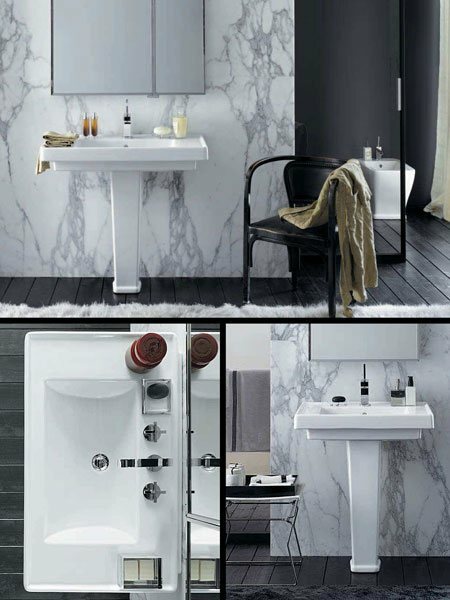 The designer wash basin shown is the 900mm wide and is also available 700mm wide. * Classical and traditional bathrooms. * Available 1 or 3 tap holes.